Mens Asics Running Trainers. Yellow. Gel Volt 33. Size 10. Condition is Used. Good clean condition. Sorry no box. Quick dispatch assured. Free Postage. Thanks for looking. 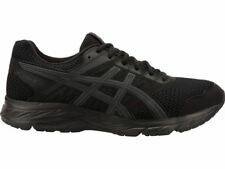 ASICS * Mens black GT 1000 running trainers shoes UK 9 EU 44 100% authentic IN EXCELLENT IMMACULATE CONDITION. The FOUNDATION backs you up over long distances, whether you land on the ground with force or you bring your weight down on your arch. It's ASICS' most supportive shoe yet. Asics premium gel cushioned neutral running shoes. This popular design features enhanced comfort with the Flytefoam midsole and rear-foot and forefoot GEL making sure every landing is softer on your feet. 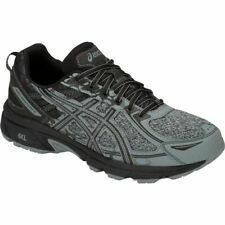 New listingAsics Gel Impression 9 Running Trainers. Size 9 UK. Eur 44. Black and orange. The DYNAFLYTE 3 gives you access to the fast running shoe category. The DYNAFLYTE 3 is ideal for neutral pronation, for fast runners who aim for any distance. Ideal for fast runners on any distance. They are the Asics Gel Runnegade model in the olive green and orange colourway. A nice pair of running shoes from a well respected maker to add to your sporting wardrobe. Size 11 by Asics. A nice pair of trainers. Asics Gel Lyte iii uk10 GL3. Condition is New with box. Dispatched with Royal Mail 2nd Class signed for. HERE I HAVE A PAIR OF TRAINERS FROM ASICS. SOLES GOOD CONDITION. Asics Gel Quantum 180 2 Trainers UK 11 Mens Running GYM. Used but in very good condition. In burgundy.Dispatched with Royal Mail 2nd Class. Asics Gel Lyte iii 2012 Easter Pack Royal Blue. You don’t see many of these around now. Condition is classed as used, but they’ve only been tried on indoors once. Could pass as new, but in order of fairness I’ll call them a 9.5/10. Mens Asics Gel Zone 5 running shoes Size UK 11. Condition is Used. Dispatched with Royal Mail 2nd Class. My husband bought these to take up running and only went about 3-4 times. They were over £100. Very comfy. The specks on the inside of the shoes are the design. 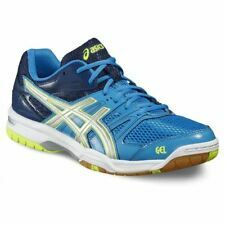 ASICS Mens Gel-Lethal MP6 Hockey Shoes. UK size 10. Condition is Used. Bought in 2015 but worn on less than 10 occasions. I’m very good condition - virtually new. Dispatched with Royal Mail 2nd Class. Mens Asics Gel Trainers Size 42.5 /UK8.5. Hardly worn. Very good condition. Dispatched with Royal Mail 2nd Class. Sole: Gum Rubber. Closure: Lace-Up. ASICS RUNNING TRAINERS SIZE 10 WHITE . Condition is Used. Dispatched with Royal Mail 2nd Class. Mens grey suede Asics Tiger Percusso trainers Size EU 44. very good condition. Condition is Used. Dispatched with Royal Mail 2nd Class. Condition is Used. These trainers have covered only about 80 miles. Slightly different to the 24's. Asics have dropped again their signature Gel-Lyte V. The shoes design is a retro running shoe style. Gel Lyte V Shoes. Black/Blue Surf. SIZE UK 11 / EUR 46.5 / CM 29.5. GT-XPRESS RUNNING. USED CONDITION - BLUE AND BLACK - GREAT SHOES ONLY USED FOR COACHING. MENS GREEN/WHITE ASICS GEL OBERON 9 LOW TOP TRAINERS SIZE UK 12 EU 46.5. USED. Used, Clean and in fairly good conditions. Asics Gel GT Cool Denim Hawaii Super Rare Unworn UK 8.5 US 9.5. Condition is New with box. Dispatched with Royal Mail 1st Class. ASICS - GEL KAYANO - White - Men's Trainer - UK9 -. worn for half a day but there to big for me I should of bought an 8, like new condition . Dispatched with Royal Mail 2nd Class. AHAR Outsole - to guide the foot through the gait. ASICS Gel GT 2000 4 Running Trainers 9 / 9.5. I’m actually a size 9 but was advised by the running specialist where I bought my first pair from (The Derby Runner) to go up a 0.5 size.and they weren’t wrong. Mens Navy Blue Gel nimbus 18 Asics Size 10.5 Trainers. Condition is Used. Dispatched with Royal Mail 2nd Class. They have some signs of wear-see picture- but overall are in fantastic condition. Only worn a handful of time as did give up running but they were absolutely fantastic trainers and would definitely rate highly. They are lovely looking too and very cool! Grab a bargain! HERE I HAVE A PAIR OF TRAINERS FROM ASICS. INNERS GOOD CONDITION.